Swords have been my life, not books. 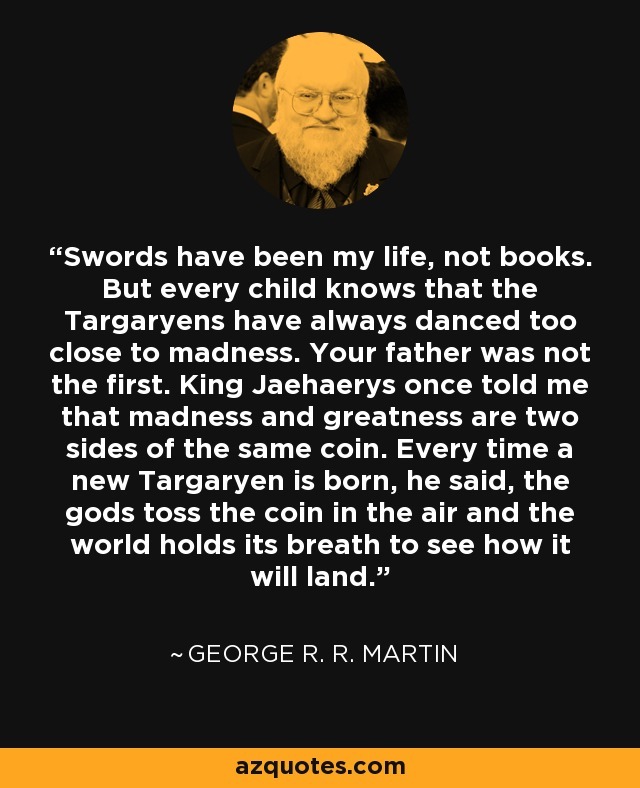 But every child knows that the Targaryens have always danced too close to madness. Your father was not the first. King Jaehaerys once told me that madness and greatness are two sides of the same coin. Every time a new Targaryen is born, he said, the gods toss the coin in the air and the world holds its breath to see how it will land.